Water Jet Eductors utilize a high pressure fluid to handle a low pressure fluid and discharge the mixture against an intermediate pressure using the Venturi Principle. 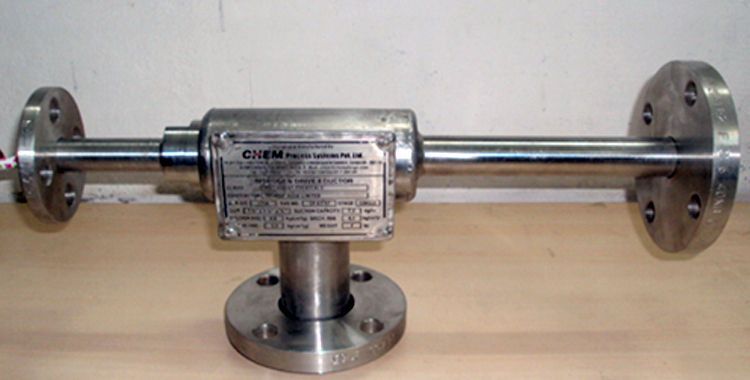 Ejectors of this type are used throughout industry for pumping and mixing operations. Steam Jet Syphons are similar to the Water Jet Eductors however, they use steam as the motive force to pump, mix liquids and handle solids. 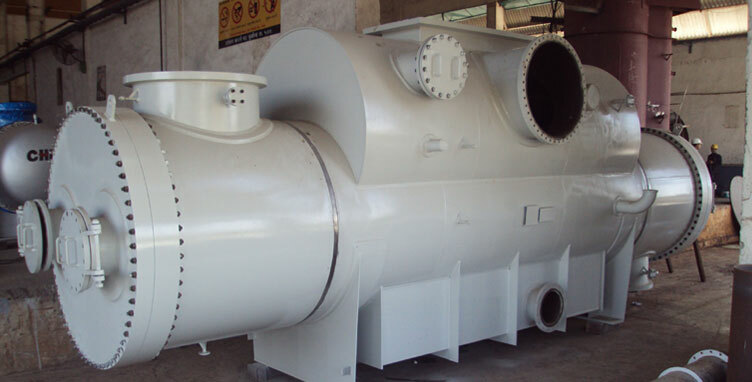 In operation, steam under pressure discharges at high velocity through a nozzle and entrains the suction liquid or slurry. Both the Water Jet Eductor and the Steam Jet Syphon can be used for the handling of corrosive or abrasive liquids and solids. Their design simplicity, absence of moving parts, and because they can be made from any machineable material, make them ideal for a multitude of applications. Pneumatic Conveying Eductors for handling dry solids: These employ motive air from a compressed air source or a blower to entrain and transport solids. Eductors using liquid in handling dry solids: These use liquid under pressure which issues through a nozzle in the eductor and produces a high velocity jet to transport granular solids or slurries.